The winter weather here in upstate New York during the winter can be brutal, and certain breeds of chicken just don’t survive here. It’s crucial that when you’re considering which breed of chicken to get, you take into account your local climate in addition to the bird’s natural climate. A mismatch of the two can prove a deadly combination! For instance a breed like Minorcas will do great in hot climates but would desperately struggle in colder climates. Whereas, Welsummer’s will thrive in the cold, but not so much the heat. Surprisingly, this was a hard piece to do. There are so many good, cold hardy breeds to choose from! In narrowing it down to seven breeds, I have used the following criteria to pinpoint those I believe to be the best bang for your buck! Cost of chicks- average price of the chicks chosen here are $2-4/chick. Availability- some breeds are difficult to source (i.e. American Holland), so I’ve selected easier to source breeds. Docility- it’s no good having birds that will be aggressive with each other, so I’ve chosen mainly docile birds. Broodiness- all birds selected here are not known for becoming frequently broody. Please forgive me if I have left out your favorite breed- I had to leave out a couple of mine too! So, in no particular order, here are the Magnificent Seven. This breed was developed in Massachusetts and Rhode Island back in the late 1800s. 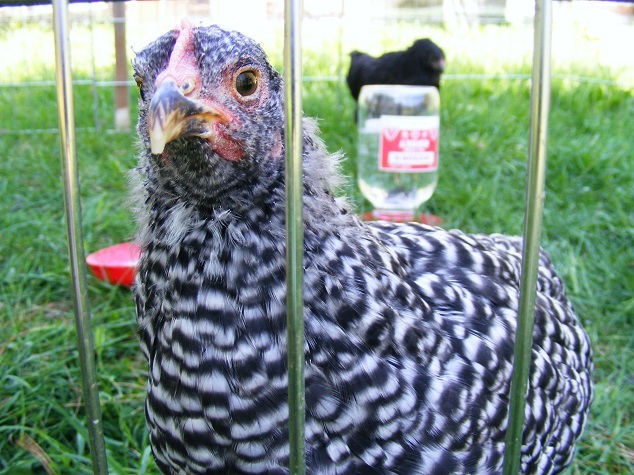 It was recognized by the American Poultry Association in 1904 and is the State bird of Rhode Island. It has a reddish brown plumage and has yellow legs. It is a very prolific layer of medium/large brown eggs in the region of 280 eggs/year. However as we know, the egg production will slow down after the first three years of laying. These birds mature quickly; they are robust and cope in hot and cold weather well. They will tolerate being confined, but really do best as free rangers. They are a dual purpose bird; roosters weigh in at about 8.5lb and hens at 6.5lb. Although they are generally docile and calm, they can be ‘pushy’ with other more timid birds. They are friendly and curious and will follow you around the garden hoping for treats! This bird was originally developed in New England in the late nineteenth century. The breed now comes in seven different varieties: barred, blue, buff, Colombian, partridge, silver-penciled and white. It was developed as a dual purpose bird, and is a good layer of medium/large brown eggs, averaging 250 eggs/year. They weigh in around 8lb for roosters and 7lb for hens. These birds are also quick to mature, are very cold hardy, and dependable. This is another bird that prefers to free range whenever possible. They generally have a docile temperament, some hens may go broody, but it’s not common. This is the only breed known to have been created by a woman- Nettie Metcalf of Ohio State in the late 1800s’. The breed was admitted to the APA in 1904 as a dual purpose breed. She created a very cold hardy bird with a small cushion comb. The bird will tolerate some confinement but does better as a free ranger. They are said to rival cats as great mouse catchers! It has a calm, friendly and curious personality, although some roosters can be aggressive. The hen lays 150-200 eggs/year and weighs around 6lb. This beautiful breed comes from the village of Welsum in the Netherlands. It was first imported to this country in the 1920s. The hens are good layers of large, speckled brown eggs, averaging 180-200 eggs/year. 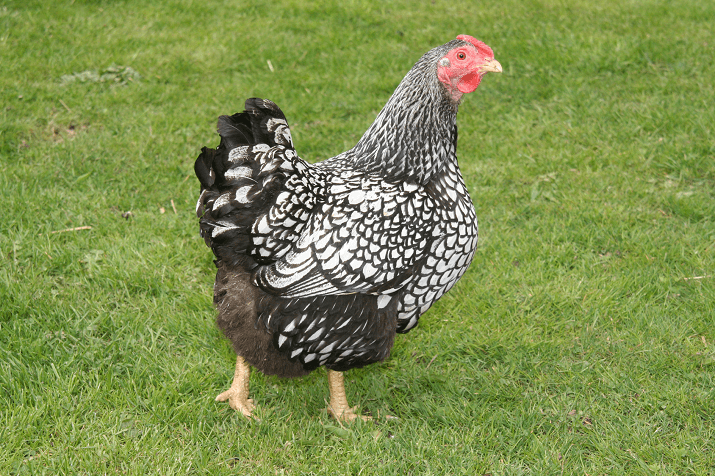 They were originally developed as a dual purpose breed with the roosters weighing about 7lb and hens 6lb. This bird is slightly slower to mature, but is very cold tolerant and hardy. They are active and enjoy free ranging. They are intelligent birds, can be a bit noisy, but generally are a great fit with other birds. 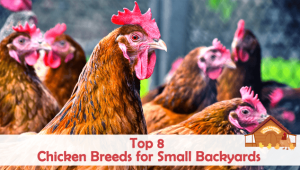 If you are thinking about combining different breeds in your flock, make sure to read: How to Introduce New Chickens to Your Existing Flock. This breed came into existence around the 1920s in Australia. 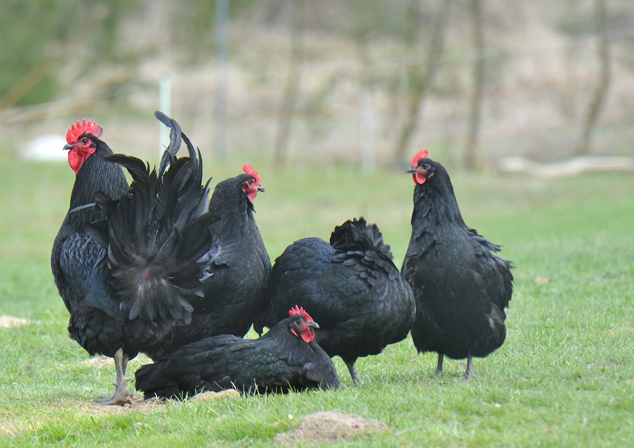 They were developed from the black Orpington and crossed with several other breeds to create the current dual purpose breed. It is an excellent layer of medium sized, brown eggs, holding the record of 364 eggs in 365 days! The rooster will weigh in at around 8-10lb with the hen at 7-9lb. This is another bird that matures a bit slower, but is very cold hardy and docile. The Australorp has a great temperament and is good with kids. It will tolerate confinement well but loves to free range. This breed was first exhibited in the late 1870-80s. Initially created to be a great dual purpose bird, a hen will lay 150-200 eggs/year and the meat is said to be very good quality. The male weighs in at around 8lb and a hen at 6lb. 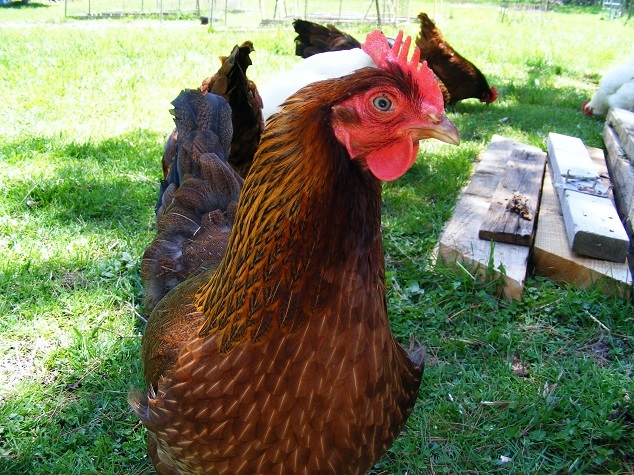 It has a docile and calm personality, hens may occasionally go broody. They are very cold hardy and robust, laying throughout the winter. They rarely suffer from frostbite having a rose comb. Some keepers feel the birds are ‘aloof’ with humans. They have a pea comb which makes them ideal for cold weather. They are a robust little chicken, good natured and calm. If the hen is allowed to set on her eggs, they are apparently good brooders and mothers. 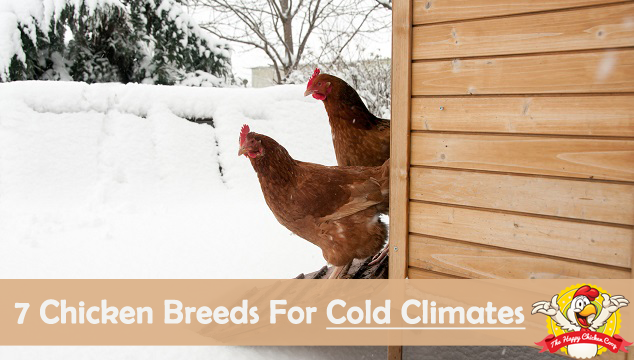 These breeds have been selected mainly for their ability to survive through cold weather. Many of the breeds are kept in Alaska and Canada and I can’t think of anywhere much colder! All of these breeds are, in fact, good all-rounders that can tolerate a wide variety of conditions. Once you’ve selected your breed, make sure you prepare properly for their arrival. Ensure you have good ventilation in your coop. The moisture from respiration and pooping will cause dampness in the coop if not vented. Use clean, dry bedding, changing frequently. Give them a handful of scratch in the evenings. The digestion of this will help them to keep warm. If your birds have large combs and wattles, a smear of Vaseline on them will help to keep them frostbite free. Ensure they have access to clean, fresh water. A heated dog bowl or waterer will save you from making several trips to the coop with fresh water. Pick up the eggs frequently, otherwise they might freeze and crack. If you’re looking for even more advice, then make sure to read our Definitive Guide to Keeping Chickens In Winter. I mentioned at the top of this article that there are many good cold tolerant breeds out there to choose from. I narrowed down the list from an original twenty breeds! It will of course, depend upon what you what from your birds as to which breeds you choose. The seven we talked about here are all-rounders that give great value for money, and they are also easy to care for if you are a beginner. Once you are comfortable with your birds and their care, you may wish to diversify your flock and keep other breeds. As always, do your homework and check to make sure the breed is everything you want, talk with breeders and don’t be afraid to ask questions. 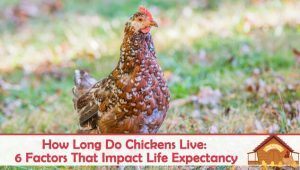 I found that chickens in the cold, frozen north country of the American Siberia actually thrived on snow, rather than open water…what’s your experience? I don’t have any open water near me so I’m not sure, but thank you for letting me know! Hello I have 2 yr old hen that has lost her toe nails & just have stubs on feet.. Dose any one know this has happened????? Frostbite possibly? Growing up in Wyoming with subzero Temps saw this happen to a few chickens over the years. One actually lost her whole foot but didn’t slow her down much. Excellent article! We are raising chickens for the eggs. Our first group of hens were New Hampshire Reds. They are pretty durable in the winters (from Northeast Pennsylvania). I guess they are almost identical to the Rhode Island reds. Our second group of hens we got early this year. They are Silver Laced Wyandottes. Beautiful breeds as well. We will get more chickens early 2017. There are so many breeds I would love to get. But I owe it to them to make sure they will survive the winter. This article has given me choices. thank you. Glad to hear your flock is expanding Joel! Sorry to hear about your loss Joe. I live in ND and this will be my first year for chickens. I am super excited, have everything ready just trying to figure out the best breed. I would like one who is cold hearty, kid friendly, and that is able to be pretty equal on confinement and free range. I will have a garden for them ro roam in. Any suggestions please? 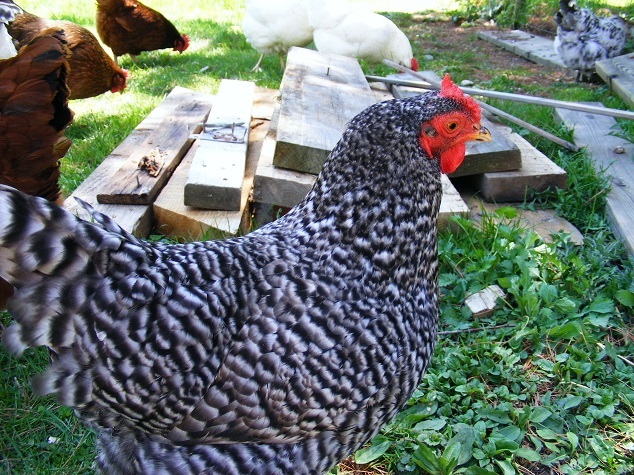 I like Barred Rock for exactly what you have listed. They are gentle, cold hardy and free range is their choice. Astrolorps a strong second. Even my rooster is polite and gentle. Good luck. Chickens are wonderful! Do buff Orpingtons do well in the cold?